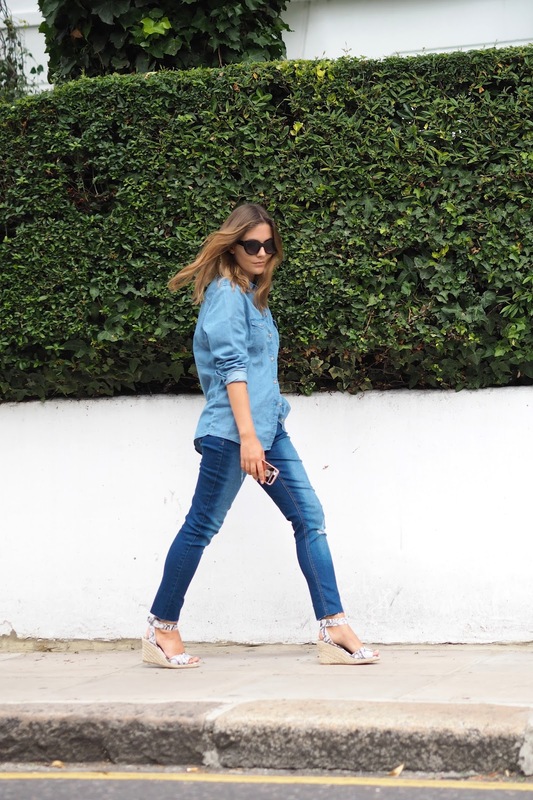 I find a double denim look tends to work best if you mix up your textures and vary the shade in denim. I love the contrast between this light wash shirt and mid wash relaxed skinnies, combined with a pair of snakeskin wedges I think it puts a spin on the typical double denim look we seem to have a love/hate relationship with! You can shop this look by clicking on the icons below. this is such a gorgeous look, love the shirt! I always look like some random factory worker in uniform when I try double denim.